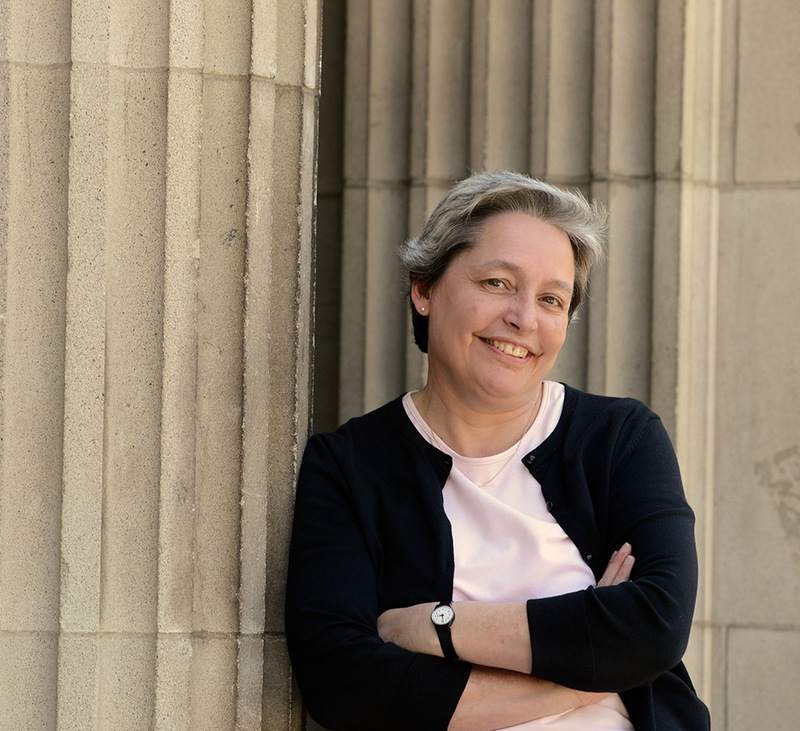 Donna M. Di Grazia holds the David J. Baldwin Professorship in Music and is a two-time recipient of the College’s Wig Distinguished Professor Award for Excellence in Teaching (2003, 2017). A northern California native, she received her B.A. and M.A. from the University of California, Davis, where she studied choral conducting with Albert McNeil and musicology with D. Kern Holoman. She received her Ph.D. in musicology from Washington University in St. Louis; she studied there with Hugh Macdonald, Michael Beckerman, and Craig Monson. As a conductor, she has been associated with numerous university and professional choruses, and has assisted internationally known conductors including Albert McNeil, Martin Neary, and Thomas Peck. She is also an active choral musician, having sung for nine years with the Grammy-nominated St. Louis Symphony Chorus and its more select Chamber Chorus, where she sang under such internationally acclaimed conductors as Leonard Slatkin, Nicholas McGegan, Robert Shaw, and Helmut Rilling. She has appeared in choral performances with the Musica Angelica Baroque Orchestra and, more recently, as a member of the Los Angeles-based professional choir, the Millennium Consort Singers. In addition to her performance work, Professor Di Grazia is an active musicologist and published scholar, and her research in the areas of nineteenth-century music and early seventeenth-century English sacred music has received support from numerous sources including the National Endowment for the Humanities. Professor Di Grazia teaches courses in music history for majors and non majors, and offers independent studies in specialized topics in choral conducting, choral literature, music history, and historical musicology. She leads the Pomona College choral program as the conductor of the Pomona College Choir and the Pomona College Glee Club. ed., Nineteenth-Century Choral Music (New York and London: Routledge, 2013); xviii, 521 pp., ill. music. 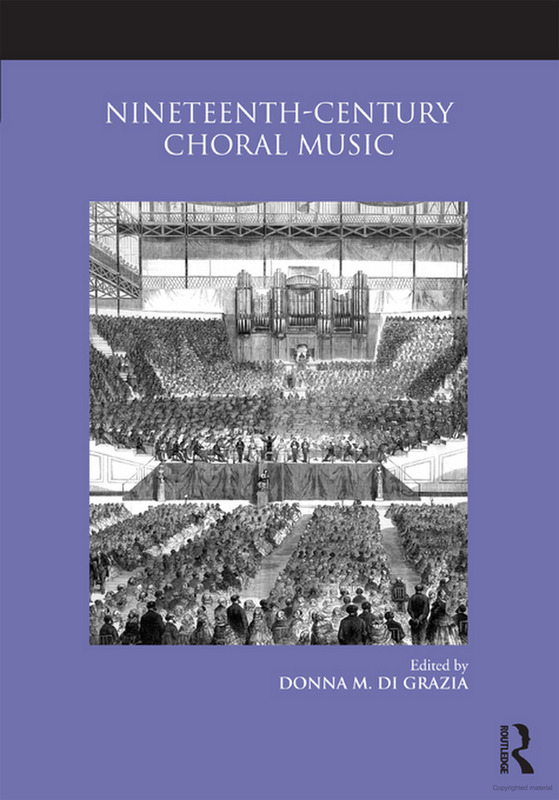 "Berlioz's Choral Music" in Nineteenth-Century Choral Music (New York and London: Routledge, 2013), pp. 231-65. "New Perspectives on Thomas Myriell's Tristitiae remedium, Add. MSS 29372-7, and Add. MS 29427," Early Music, 38:1 (Winter 2010), pp. 101-12. "Funerall Teares or Dolefull Songes? : Reconsidering Historical Connections and Musical Resemblances in Early English 'Absalom' Settings," Music and Letters, 90/4 (November 2009), pp. 555-98. Nine entries in Dictionnaire de la musique en France au XIX siècle, ed. by Joël-Marie Fauquet (Paris: Librairie Arthème Fayard, 2003). "Volcanic Eruptions: Berlioz and his Grande Messe des morts," The Choral Journal, 43 (November 2002), 27-55. "Rejected Traditions: Ensemble Placement in Nineteenth-Century Paris," Nineteenth-Century Music, 22 (Fall 1998), 190-209. Reprinted in Classical and Romantic Music, ed. David Milsom. Volume 4 of Essays on Musical Performance Practice. (Aldershot: Ashgate, 2011), pp. 209-28. "Liszt and Carolyne Sayn-Wittgenstein: New Documents on the Wedding that Wasn’t," Nineteenth-Century Music, XII/2 (Fall 1988), pp. 148–62. Alan R. H. Baker, Amateur Musical Societies and Sports Clubs in Provincial France, 1848-1914: Harmony and Hostility. (Cham, Switzerland: Palgrave Macmillan, 2017), for H-France Review, 18 (May 2018), no. 102. Ryan Minor, Choral Fantasies: Music, Festivity, and Nationhood in Nineteenth-Century Germany (Cambridge: Cambridge University Press, 2012), for the Journal of the American Musicological Society 67:1 (Spring 2014); 244-50. Carl Orff, Carmina burana, St. Louis Symphony and Chorus; Leonard Slatkin, conductor (BMI/RCA, 1994). American Portraits, St. Louis Symphony and Chorus; Leonard Slatkin, conductor (RCA, 1992).